I am coming to you today with a really fun and romantic card for the Polkadoodle's Love & Romance challenge blog. I choose this digital image from the Work And Play 9 ~ Love & Kisses downloadable CD because it reminded me of my husband and I. We will be celebrating 23 years of marriage this year and am more in love with him now than I ever have been. I have colored my image with the following Copic Markers. I have embellished this card with Magnolia Doohickey Dies and Prima flowers. Thank you for stopping by today. Please click on over to the Polkadoodle's Challenge blog to see more "Love & Romance". Botanical Builder Framelits Dies ~ Simple, Yet Elegant! Just a quick post today sharing this simple card using the awesome Botanical Builder Die Set from Stampin' Up! The edge die is simply stunning with this set. 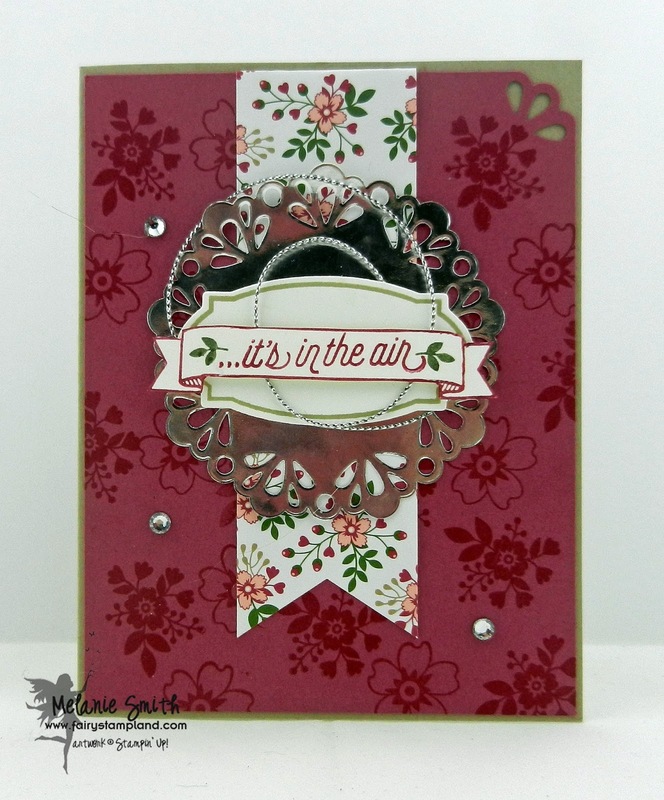 I have used it along with some of the floral dies to create this simple, yet elegant, card. Happy crafting everyone! Botanical Blooms ~ The BEST Stampin' Up! Suite EVER!!!! I know what your thinking.... "Best Ever" Stampin' UP! Suite EVER??? Let me explain. In our Occasions Catalog with have the Botanical Blooms Bundle which includes the Botanical Builder Dies and Coordinating Stamp Set. But that is not all...... You see besides the Garden Jewels, Washi Tape, and AMAZING Designer series paper there are also 2 CHOICES of FREE Sale A Bration items that ALSO Coordinate. Here is just a glimpse of this amazing suite..... I have never seen a series like this that has so many coordinating options. The creativity is endless here. The stamps coordinate with the designer series paper so you can stamp right onto the paper.... The matching vellum in the Sale a bration catalog ALSO matches the prints on the beautiful designer series paper. Here is a close up of the paper...... A M A Z I N G!!!! I will be sharing lots of projects using these items in the upcoming weeks so keep checking back to see more design ideas! 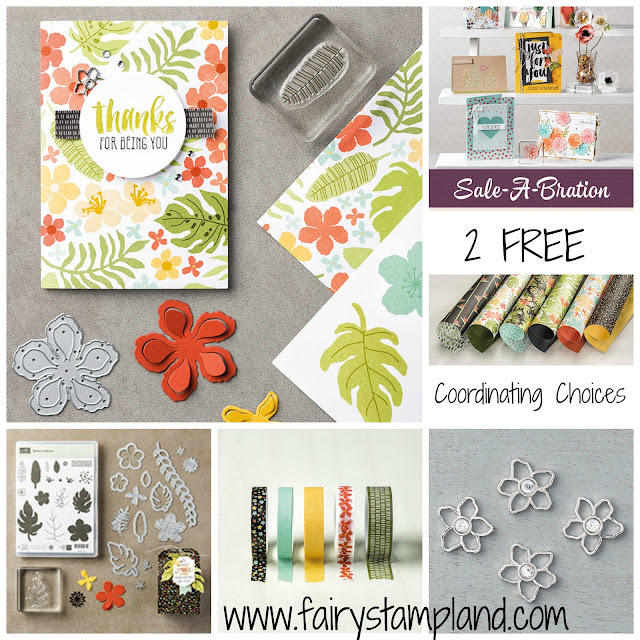 For a total of $110.25 - this would earn you 2 FREE Sale A Bration sets so you could complete the suite with the coordinating designer Vellum and Botanical For You Stamp Set! This would give you hours of fun and unlimited possibilities. I can't wait to see your projects using these items. 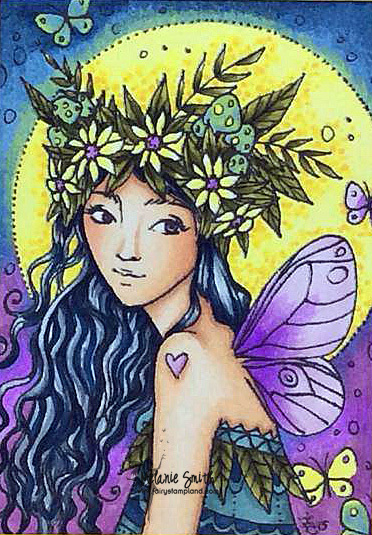 Today I am sharing with your another card from January's card class. We have used the "Bloomin' Love" Stamp set along with the 6x6 "Love Blossoms Designer Series Paper Stack"
We have used Rose Red along with Crumb Cake card stock from the Love Blossoms Cardstock Pack. 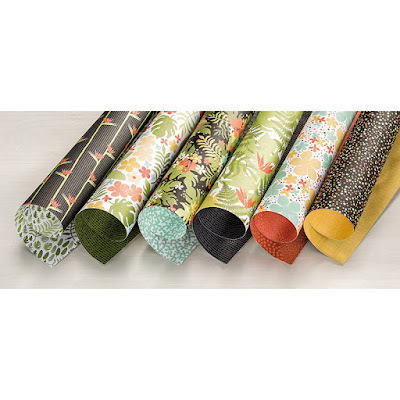 These packs are awesome because they include just the paper needed to coordinate with your project without having to buy an entire package of each color. All materials are listed below. If you have any questions please feel free to email me. Happy Stamping! Today I have my first ever hybrid card design. I am using the amazing Polkadoodles Work & Play 9 ~ Love & Kisses CD download and I have printed this image on white card stock then I used some spellbinder's dies to cut the image out. I have layered numerous layers of card stock and designer paper and then finished the project off with lots of bling that any true birthday princess would love. We would love for you to head on over to the challenge blog and play along with us this fortnight. Simply click HERE to see all the beautiful design teams work. Thank you for stopping by today. Today I have a super fun card for all of you. I am using a digital image that you can purchase over on the Crafts & Me website. It is by Artist Hannah Lynn and is named "Heart on Her Sleeve" Digital Stamp. I cannot express to you how much fun these are to color and design around. She was just a perfect choice for out "Valentine's Facebook Challenge"
I will be entering her into the following challenges. Click HERE to head over to the Crafts & Me Facebook Page to enter our 'Valentine's' challenge. Stampin's UP! Limited Edition FREE Stamp Set..... Don't Miss Out! 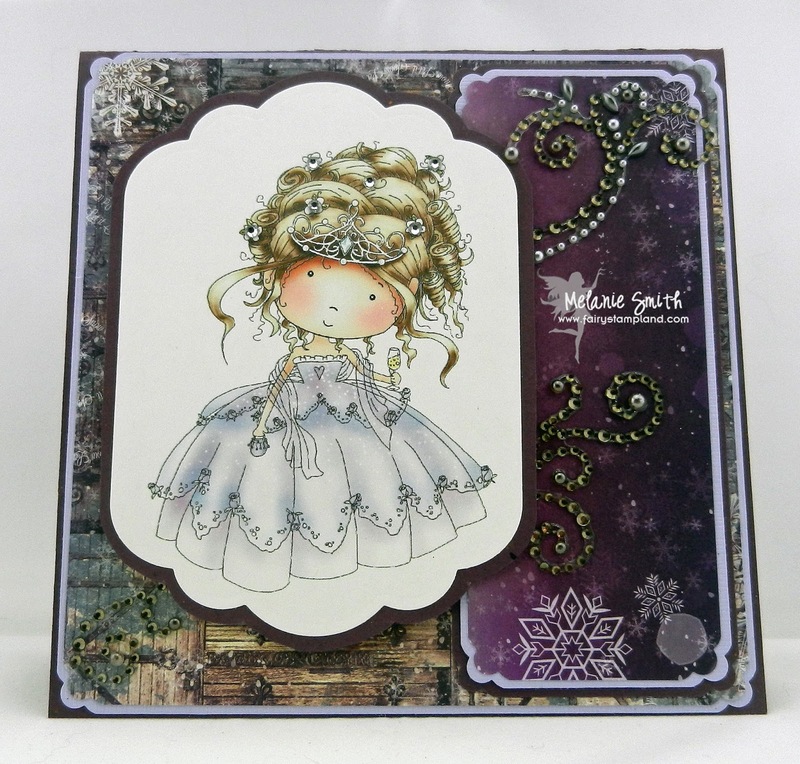 Today I have made a fun card using the FREE Sale A Bration Stamp set, "Hello". This stamp set is ONLY available as a FREE option with a $50 purchase until Feb 15, 2016 at which time it will be retired. Above is a photo of the stamp set I used in it's clear version - item# 141243. It is also available in wood item # 141240. 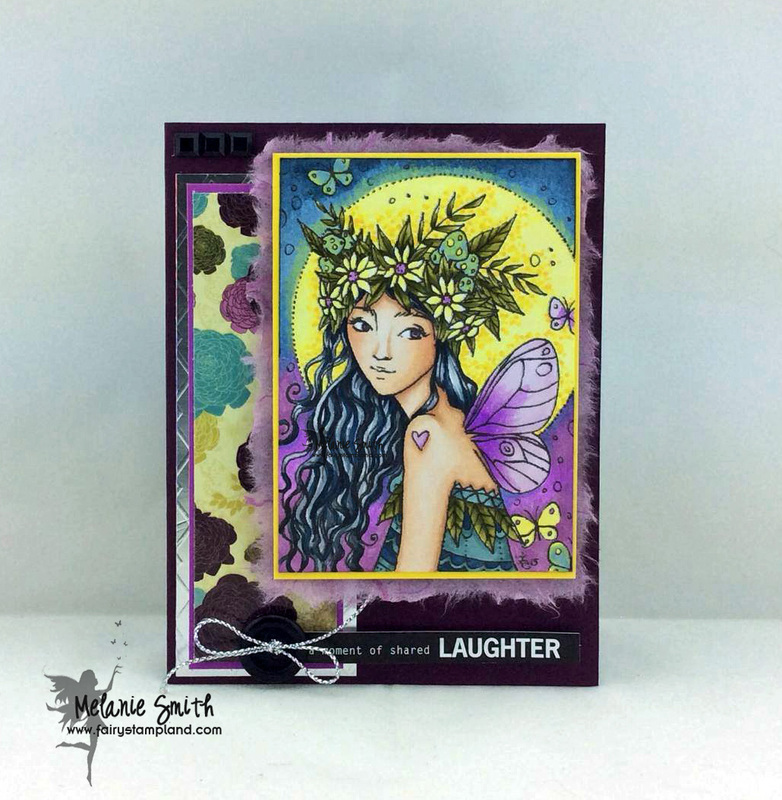 The card I have created below also uses the "Botanical Builder Framelit Dies" which is available in the Mini Occasions Catalog item# 140625 ~ This set of dies can be purchased as part of a bundle and also has lots or coordinating items to complete the Suite. You can see the entire collection HERE. 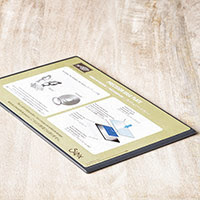 The designer series paper used is from the annual catalog and is called "Go Wild Designer Series Paper Stack". It comes in a 6x6 paper size which has 48 sheets. I love that we are now carrying this size option. I have placed a "Metal Rimmed Pearl" in the center of the flower to give it an even more finished look. See below for all the materials used in this project and happy Stamping! A "Game Changer" for all those Die Cutting Lovers out there.... Bloomin' Heart Die Set with Blushing Bride Glimmer Paper. Starting TODAY I am committing myself to 2 Stampin' Up! inspirational blog posts per week. I will be posting them on Tuesday's and Thursday's. please consider clicking the "FOLLOW ME" link or simply enter your email along the side bar of this page so you do not miss a single post. I am bringing you a Glimmery Valentines card today. I am using the beautiful Bloomin' Heart Thinlits dies which is part of the bundle that includes the Bloomin' Love Stamp Set. The sentiment came from a Hostess Only set called "Happy Birthday Everyone" which is on page 179 of the annual catalog. This was a card we made in class last Monday night and it was the first time I have used the following two products. If you love intricut dies but hate the hassel in getting them to cut and release from the dies then make sure you add these two items to your next order. 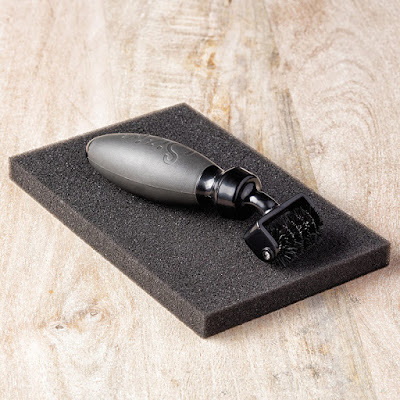 Let me tell you these are MUST HAVE ITEMS if you love die cutting as much as I do. The precision plate allows just a small amount of extra thickness to your sandwhich and is used in place of the lower clear plate. The combination of these two products used together with intricuit dies are a GAME CHANGER! Crafts & Me Challenge ~ Anything Goes, w/ Optional "Winter" Theme. I am here today with a Design Team card for Crafts & Me. I am using the "Child Heart" digital stamp which can be purchased from our online store. This image spoke to me as soon as the marker hit the paper which is why mine is not following the challenge's optional "Winter" Theme. Sometimes you just have to listen to that artistic instinct and this time I think it paid off. Here is the close up of this lovely image. I looked long and hard online for a moonlit background tutorial and never really found what I wanted but got ideas from many sources. The moon's "Glow" was one of those happy "Accidents" I love the way it turned out. Here is the finished card. I have used a piece of silver foil paper and trim to accent the designer paper along with some mulberry paper to give the image some depth. The sentiment says "A Moment of Shared Laughter" which I thought was perfect considering the happy accident in the background. Head on over to our Crafts & Me Facebook Group to enter this weeks challenge. We would love to see your imagination run away with you as well. If you like what you see it would be a great compliment if you would leave me a comment. Also consider "Following" me either by clicking "Follow me" or simply by putting your email in the email box on the left hand side of my blog. Happy crafting my friends! 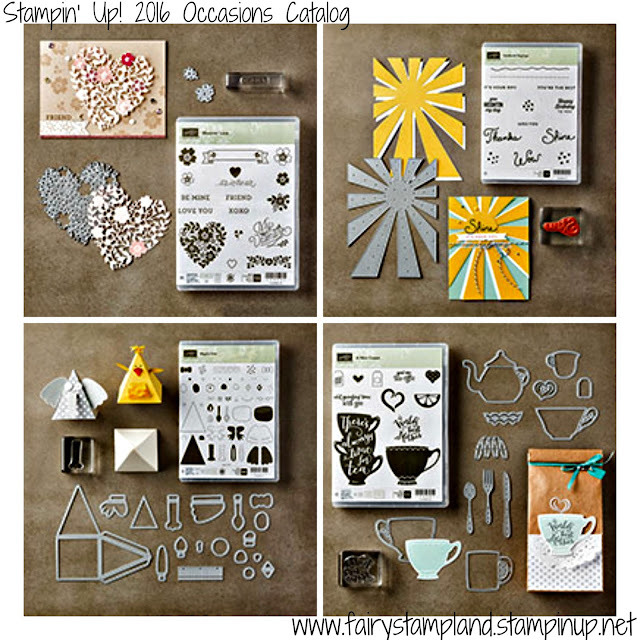 I am excited to announce that Stampin' UP! Sale-A-Bration promotion has begun. You can view the new catalogs online HERE. Sale-A-Bration is a once the year celebration kicking off the brand new year. 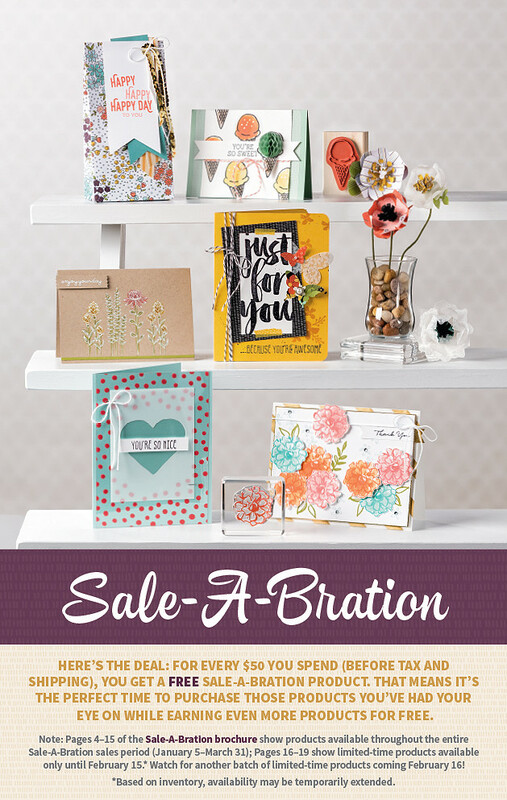 From now until March 31st, 2016 with EVERY $50 purchase from the Main or Mini Occasions Catalog you will earn a FREE product of your choice from the special Sale-A-Bration Catalog. Here is just a sampling of some of the NEW bundles in the brand NEW Occasions catalog. Click Below to view this catalog online from my website. If you have any questions please do not hesitate to contact me.